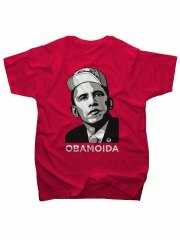 OK, this will likely only interest people who know a little about Viennese sub-cultures and slang and the current US elections… but if you do, you may find this OBAMOIDA T-shirt hilarious. Full disclosure: Even if you’re not getting one for free, like me. While you’re there, why not check out the other fine articles in the Tupalo.com merchandise web store. For instance, if you were not invited to the exclusive Tupalo party at the Museumsquartier earlier this year, now is your chance to get the tote bag and pretend you were there with all of Vienna’s digerati!